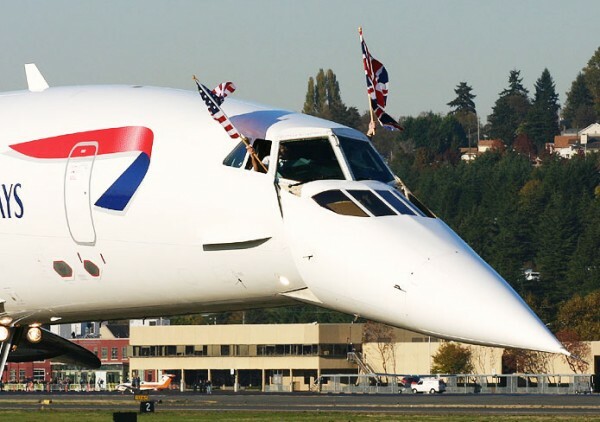 British airline pilots have chosen two finalists in a bracket competition to determine the “best” airliner of all time in the “Aircraft World Cup”. One of the finalists has been out of production for 40 years, the other is a Delta Air Lines museum piece. Both airplanes, the Boeing 747 and Concorde, first flew in 1969. The British Airline Pilots Association held the bracket competition this month for members, many of whom are career commercial pilots with British Airways and Virgin Atlantic, to decide on their favorite commercial airplane of all time. The British Airways’ Concorde last flew in 2003, the end of commercial supersonic flight. The 747 entered service with Pan Am in 1970. It is one of the oldest airframes still in production, vis-a-vis the highly evolved 747-8 model. Concorde, which to date remains the only supersonic airliner to enter and sustain passenger service, hasn’t been manufactured since the 1970s and has been out of service since 2003. All of this begs the question: what exactly have we been doing for the past 40 years? A United Boeing 747-400, which went out of service in late 2017. New versions of the 747 are still in production, nearly 50 years after the model was introduced. Captain Les Brodie, who piloted British Airways’ final Concorde flight in 2013, made his case Monday for the supersonic airliner, on the BALPA blog. The Concorde project, taken on by a British-French consortium between two companies now called BAE System and Airbus, was a test bed for a host of technologies used in later airplanes. The ultra-fast jet justified development of state-of-the-art carbon breaks, a technology which later went into use on the record-breaking Airbus A380 super-jumbo. Concorde needed specially designed jet inlets that could slow the air entering the engines nearly 1,000 mph in just a matter of feet. It’s skin reached searing temperatures at supersonic speed, requiring newly designed paint and even an integrated heat-exchange cooling system. Concorde’s nose was adjustable, to counteract the high angle of attack needed to control the jet during takeoff and landing. Concorde was a commercial success for British Airways — the small 100-set jet accounted for an entire quarter of BA’s profit during the 1990s. The supersonic speed bird was a failure for the consortium that built it, though. The program was projected to cost £70 million, but slightly overran that figure at £1.3 billion. As a result of exorbitantly high costs, the first 20 Concorde’s built were the last. U.S. airlines balked at the airplane after the Federal Aviation Administration banned supersonic flight over land. The Concorde didn’t have sufficient range for transpacific crossings. Air France and British Airways flew Concorde commercially from 1976 through 2003, a long service life for any commercial airplane. No other aircraft manufacturer dared make a gamble on another supersonic plane, though, until recently. Boom Aviation has announced plans to put a new supersonic airliner in service by the mid 2020s. The 747, on the other hand, grew from an experimental cargo project into Boeing’s greatest commercial success at the time. Since the 747 entered service in 1970, Boeing sold over 1,500 jumbo jets. As a result, the 747 is considered the most iconic airliner in the world, easily recognizable by almost anyone who has flown on a commercial airline. Its big hump, popping up in an airport window, almost always prompts a few photo opportunities. The 747 wasn’t the moonshot that Concorde was, built largely on technology adopted from the already-trustworthy Boeing 707. But the big, successful jumbo had a democratizing effect on air travel and touched far more people than Concorde. The 747 made it affordable for more people to fly to farther destinations than imaginable when it was conceived in the 1960s. Captain Martin Drake made the case for the jumbo jet. A look inside a GE engine on a United Airlines Boeing 787-9. The Boeing 747 pioneered the high-bypass turbofan concept in 1969. Boeing’s wide body didn’t come without unique innovations. The super-jumbo was the first plane to utilize more efficient high-bypass turbofan jet engines. The big fan blades are now ubiquitous across modern jetliners. Interestingly, the two old birds beat out some of the most advanced jets currently flying in head-to-head bracket pairings. Concorde beat out the A350 and A380, while the Boeing 747 beat out the 787 Dreamliner, which in a much shorter lifespan has already surpassed the jumbo’s passenger variant in total all-time orders. Two 1969 jets beat out the most advanced new aircraft on the market in the British Airline Pilot Association’s Aircraft World Cup bracket. Image by BALPA. Today, Boeing is running low on orders for new passenger 747s, though the aircraft maker is still taking freight orders. Many in the industry speculate the end is nigh for passenger-production Boeing 747s. Frequent flyers and other Point Me To The Plane Readers: what would be your pick for greatest airliner of all time. Have a Knack for Rewards Travel? We Want You! What? The Trident is listed but not the 707 and 727? The MD-11 and DC-8 are also not listed. I give special recognition to the L-1011 Tristar, BAe 146, DC-8. 727, 747, Concorde, A380, 757 and 787. But to choose only two, I agree with the choices of the 747 and Concorde. Maybe the DC-8 would be third. These brackets, however, are misleading because if the 747 and Concorde were paired in the first round, the finals could be the Concorde versus the 727. The 707 and 727 were eliminated in the prelims. See the bottom of the bracket. A380 beating out 777 in the quarters? That’s ridiculous. One was a complete commercial flop, and the other was a resounding success. The 2 engine jumbo, of which the 777 was the first, killed the 747 and A380. The A380 was no technological breakthrough like Concorde or 747, it was simply copying the 747 but extending the upper deck all the way back. Big deal. Actually Boeing really wanted to change flying when they began developing the new generation 787. They asked potential customers about their interest in an aircraft that could travel faster, remaining subsonic. This would shave an hour or two off transatlantic and transcontinental flights. The airlines were not interested but jumped at the opportunity to have aircraft with lower fuel costs and a composite body requiring less maintenance. Thus the 787. Deck was stacked against the L-1011, as it had to go up against Concorde very early on. I’d imagine it’d have gone further had it faced something like the 757 or BAe 146 (either of which it’d have handily defeated).